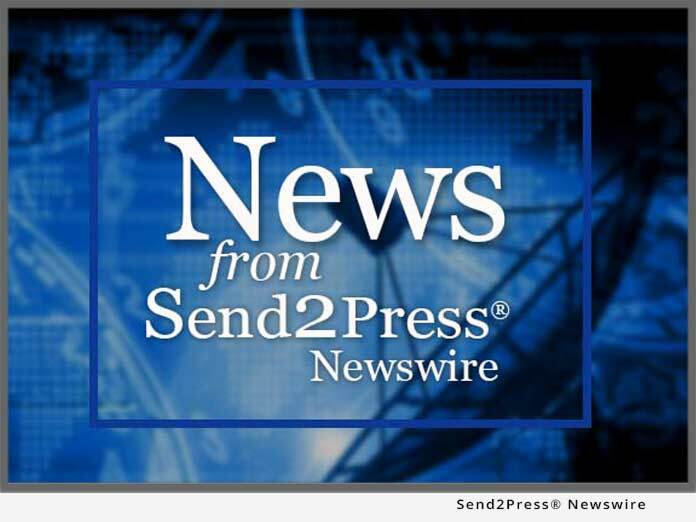 WHIPPANY, NJ – Aug. 2 (SEND2PRESS NEWSWIRE) — Specialty gel producer Poly Gel LLC has launched a new company dedicated to providing a fully integrated source of soft gel supply and finished products to specification for OEM and private label manufacturers. Operating as a joint venture between POLY-GEL and a long-standing production partner in Taiwan, Gel Smart is structured to deliver highest-quality raw materials and products at very competitive prices. The new company draws on more than 20 years of experience in producing ultra soft gels using both thermoplastic elastomer (TPE) and silicone compounds – and is a recognized pioneer in developing visco-elastic products using mineral-oil TPEs. It has a proven track record in meeting the challenges of producing consistent quality gels in Shore A “000” and Shore “00” durometer ranges. A trusted partner to a wide range of medical, consumer health care and industrial companies, Gel Smart offers extensive lines of versatile orthopedic and skin care products for private labels. With comprehensive capabilities ranging from gel concepts to packaging finished products to customer requirements, the company also provides unique customization and product development services, which are available to companies of all sizes. Gel Smart is a willing and capable partner to OEM and private label manufacturers with new ideas they want to take to market. More information about its capabilities, products and service is available at www.gelsmart.net. Gel Smart’s corporate offices are in Whippany, New Jersey, USA. In addition to its gel production plant, the company’s 20,000 sq. ft. facility at that location houses its R&D and sales and marketing divisions. Gel Smart’s Asian production facilities include a 50,000 sq. ft. plant in Taiwan. Fully integrated U.S. and Taiwan operations give customers all the efficiencies and economies of Asian production, while ensuring trouble-free communication and consistent, reliable product quality. Gel Smart president Lawrence Kersen is a polymer chemist with 25 years of experience in developing elastomeric gels and finished products for medical, consumer health care and industrial markets. The company’s product development team is headed by Marty Vogel, a clinical health care professional with more than 25 years of experience in medical and consumer health-care products Their staff of polymer chemists, process engineers and production engineers includes health care-trained and certified experts. In addition, the company routinely consults and partners with a network of orthopedic and skin care professionals who bring specialized expertise to solving problems and optimizing design features for both product line enhancements and customized applications. Gel Smart is unique among suppliers of soft-touch gels in providing the benefits of two leading technologies using TPEs – along with expertise in traditional silicone gels. Gel Smart’s TPE gels include both M-GEL(TM) medical-grade, mineral-oil based soft-gel materials and T-GEL(TM) higher-durometer oil-based gels. A family of medical-grade S-GELS rounds out a diversified line of standard gels that allow cost-effective choices for best performance in a wide range of specialized and general-purpose applications. If customers needs something different, Gel Smart formulates and produce gels to their specifications. Building on its advanced gel technologies, Gel Smart has applied years of hands-on design application experience to produce a complete line of more than 200 top-quality orthopedic products for every style of footwear – and a selection of gel materials and product features to suit every budget. In addition, the company’s growing line of high-performance skin care solutions for foot, hand and body is ideal for private label campaigns aimed at enriching people’s lives with high-value daily living aids. For companies with special requirements – or big ideas for new products – the versatility of Gel Smart’s technology and the depth of its product research and development expertise can open doors to virtually any consumer or industrial market. Its vertically integrated structure guarantees efficiency and eliminates the hassles of coordinating with multiple suppliers. Gel Smart’s facilities are equipped with advanced systems supporting its value-added approach to product development and manufacture, including: an in-house machine and tool shop for rapid prototyping; production flexibility from small to large runs; CNC (computer numerical control) tooling for in-house molding; and EDI (electronic data interchange) capabilities for inventory monitoring and control. RSS News Feed for Poly-Gel Inc.